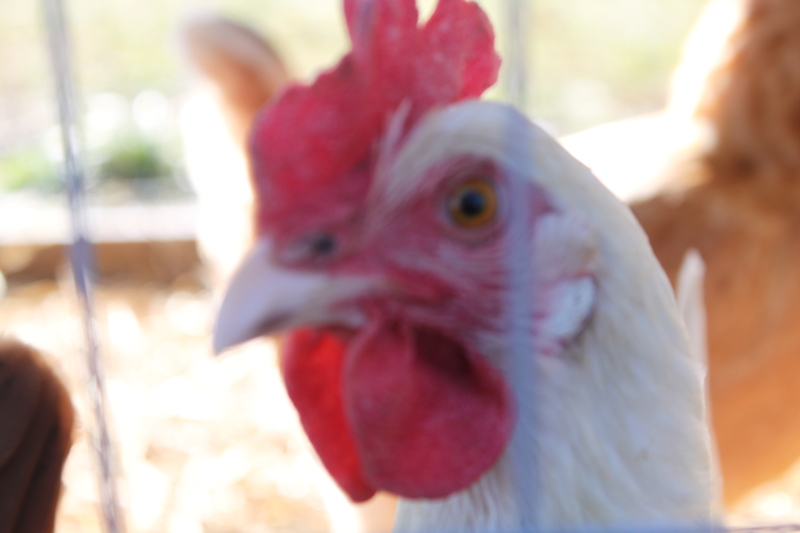 All in all – I would have to say that the most talked about of any venture we have going on at the farm are the chickens. 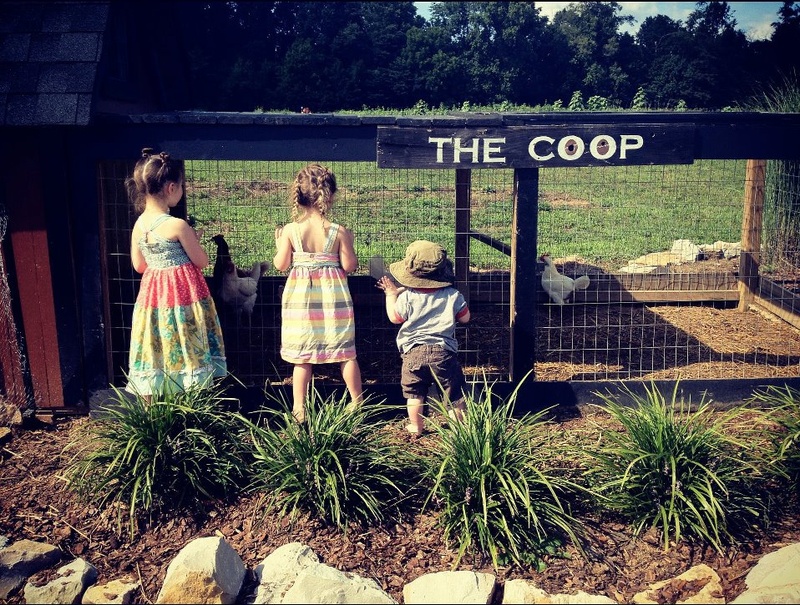 ”The Coop” as we call it – is usually the first place visitors to the farm go to see. Our coop has been home now for over the last year to our little flock (we started with nine). With a few minutes of care each day – they have provided us with a little over 4 dozen eggs each week – and maybe even more importantly – an incredible supply of organic matter for our compost bins. 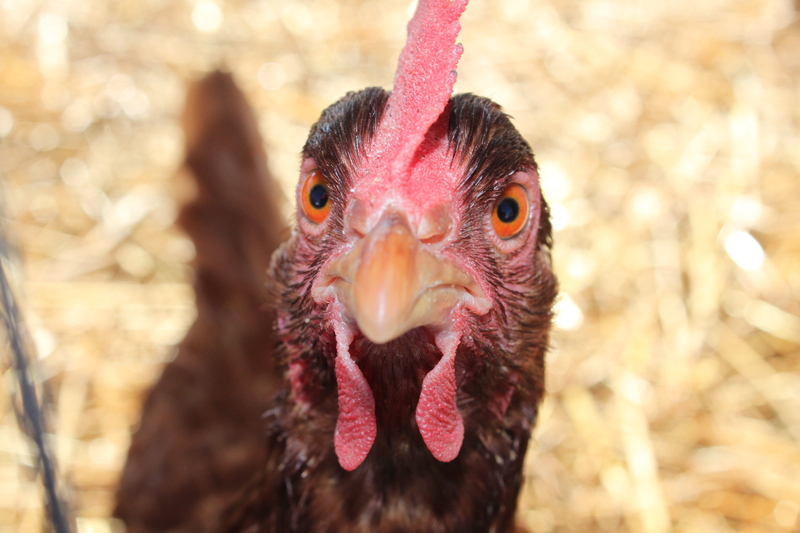 GEORGE: George earned her nickname early on – as she was by far the most curious of the day old chicks. 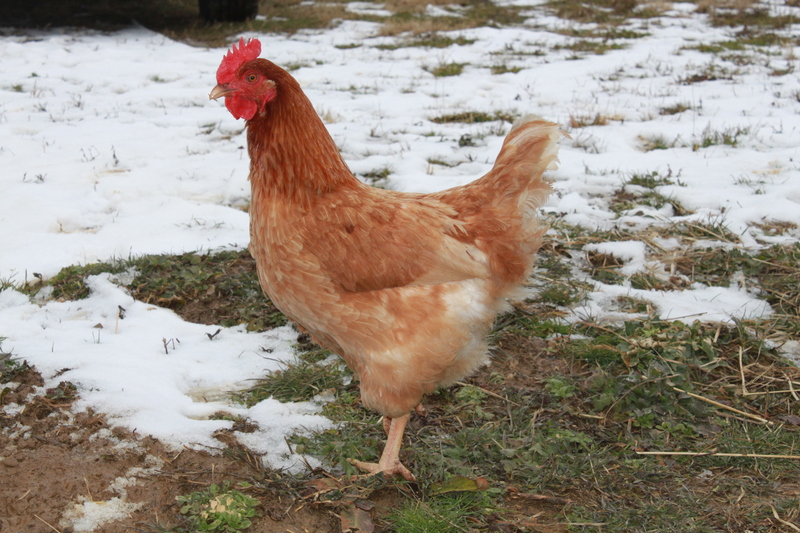 She would wander around all over the brooder and explore new territories. She is often found wandering around by herself and genuinely enjoy’s her “private” time – although she does seem partial to spending time alongside Big Mamma if she needs company. COMET : Comet is the classic “gossip” queen. 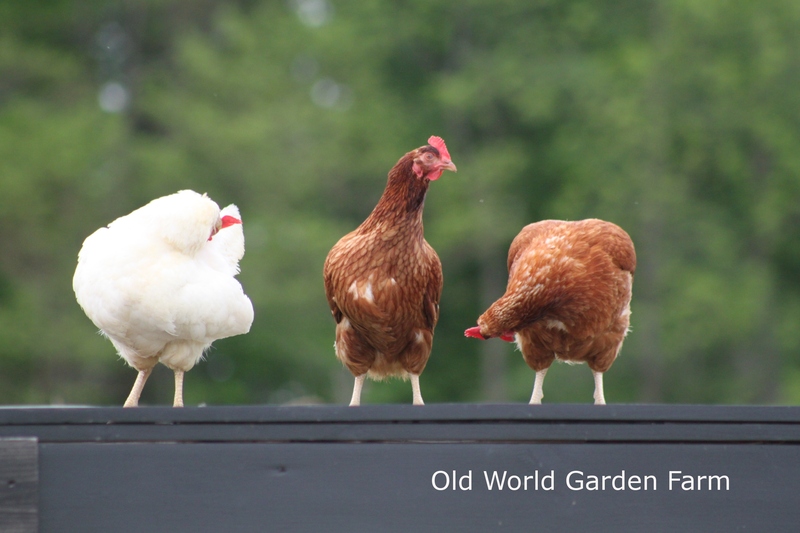 Always in everybody’s business, if any of the other hens finds a worm or something to get into, she is right there to check it out and see if she can have it for herself. We are not quite sure but we have narrowed our one speckled egg that we get in the nest each day to either her or George. CO-PILOT : Co-Pilot is Amelia’s partner at the top of the coop each night. 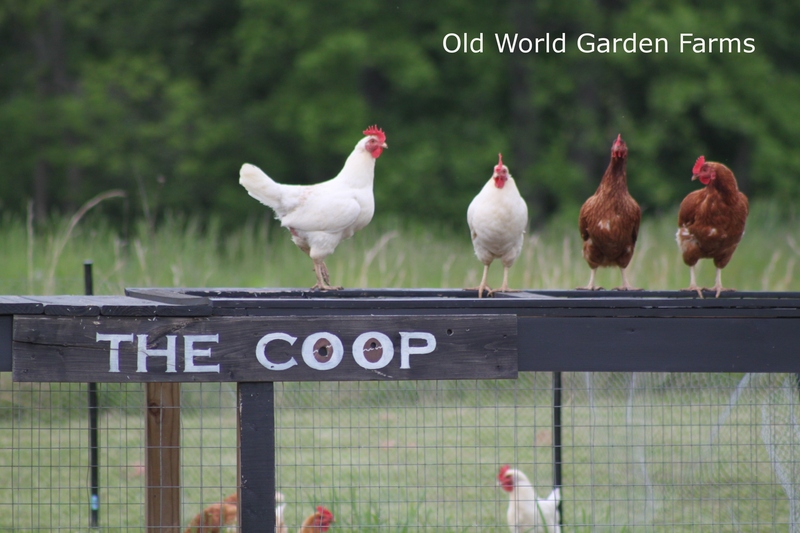 All of our Leghorns are much more prone to flight than the Golden Comets, but Co-Pilot and Amelia are the top flyers – and have made a place for themselves each night high above the others in the coop. BIG MAMMA. By far our most “weight challenged” Hen. Big Mamma is just, well, big! She has a little trouble obtaining any flight whatsoever when she flaps her wings, and really seems to enjoy hanging out by the feeder more than anyone else. Even when roaming the property, she seems to keep her exercise to a minimum. She is more of what we term a “waddler”. She has an incredibly sweet disposition, and we are almost positive that she is the layer of the every so now and again “Monster Egg”. An egg so big, that we can never close the lids on the egg carton! AMELIA: Amelia is our “flying chicken”, as in Amelia Earhart. 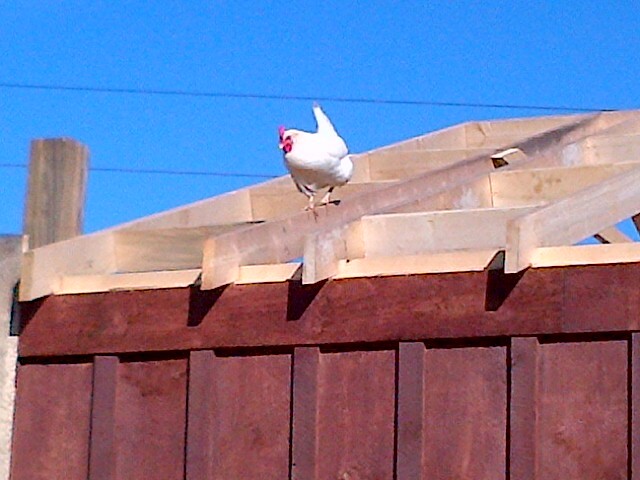 It’s easy to see here as she tries out the rafters on the new barn. She has always had a penchant for flying, from her early day in the brooder when we came down to find her sitting on the top of the brooder when none of the others could fly past the first board. She is constantly trying to hop up ladders and see how high she can get. 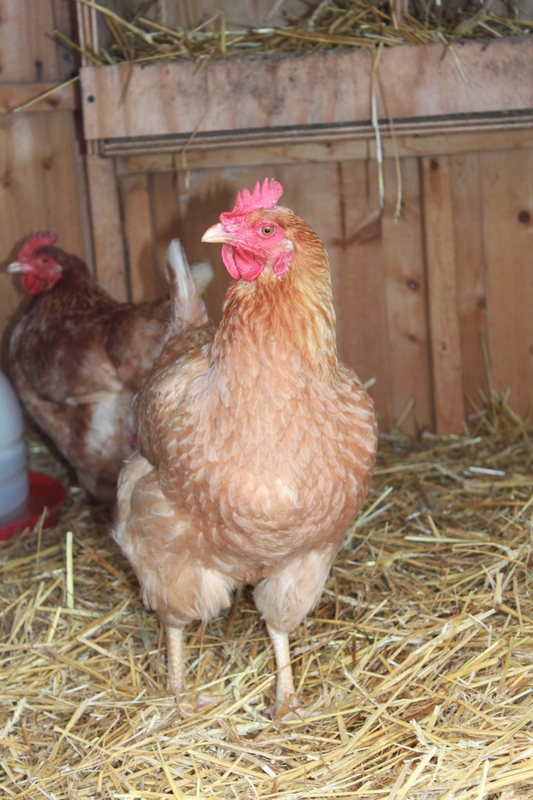 GOLDIE: She is the looker of the comets and knows it. She will strut around and is quite proud of her beauty – she’s even been caught a time or too looking at her reflection in some old windows stored in the barn. 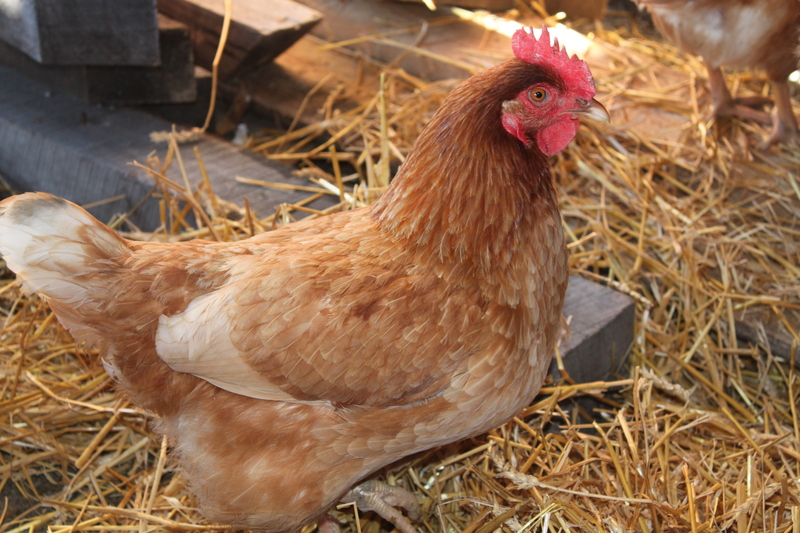 She really is a beautiful hen – with a light golden color, she is easy to spot among the other hens. DIGGER: It’s not too hard to see how Digger earned her name. Digger finds any pile of dirt, rock, or straw to start rooting through and make a home. She would have made a great explorer because she can always find a home anywhere. 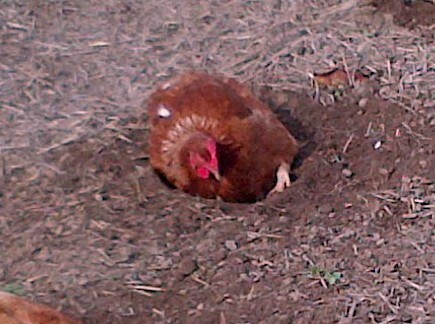 We have thought about putting her in areas where we will be planting and let her “pre-till” the soil. 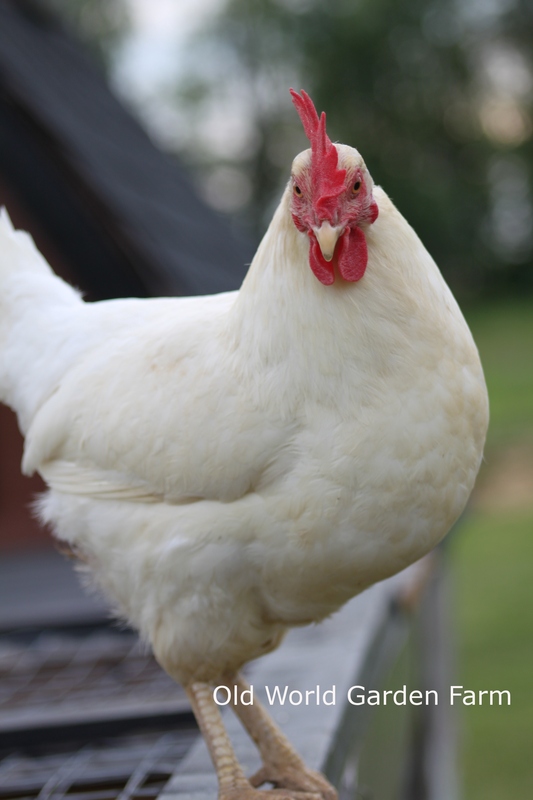 FOGHORN: The most independent of our 3 Leghorn Chickens – Foghorn reminded us very much of the cartoon character – so we passed along the name. 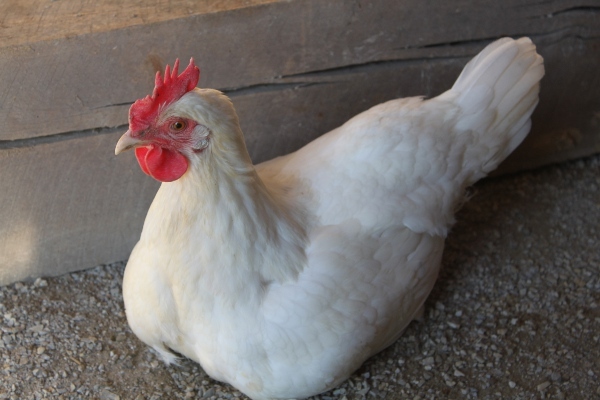 Her favorite place to gravitate to is the barn floor – where she carves out a little hole and promptly roosts. She will be very disappointed someday when the brick floor gets put down! 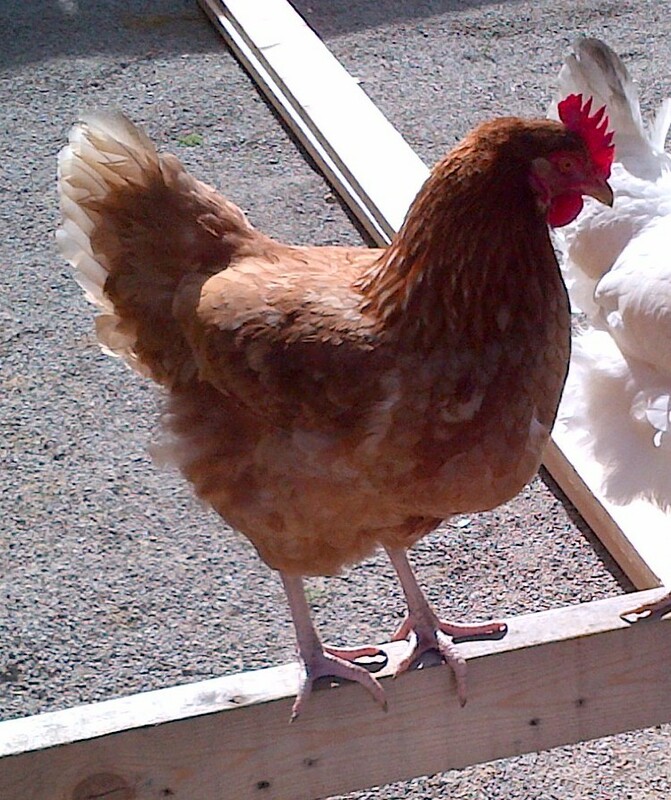 George checks out the surroundings while Foghorn and Goldie clean their feathers. It would be really hard to name 150 chickens! We love all of our girls and they definitely have unique personalities. It was fun to read about your chickens. I was surprised they could be picked out as individuals and named. My son started working on an organic farm this year and takes care of 150 chickens!